Another month, another great Degustabox arrived at our doorstep. It is like receiving a birthday gift each month, I am always looking forward to find out which items are included in the box. We have been trying Degustabox for a few months (Degustabox January box, February box, March box and April Box ) and I love receiving surprise food box each month. It just gets better and better! 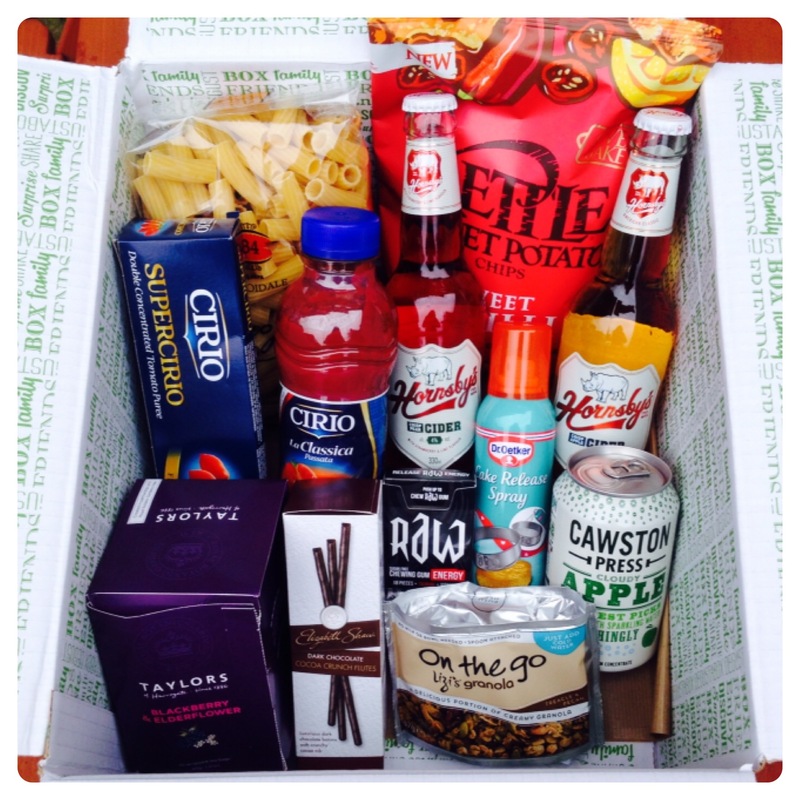 In case you are not aware, Degustabox is a monthly subscription service which arrives to your door with 10 to 15 new and limited edition food products from well known brands. 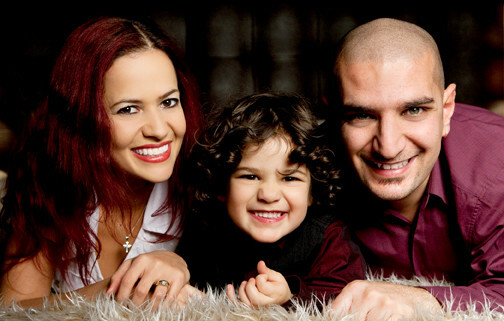 It is like receiving a surprise gift every month as you don’t know what you will get until the box arrives. For a monthly fee of £12.99 including delivery, with no fixed in contract, you will receive a box of delicious goodies worth approximately twice that amount. So what did we receive in our May Degustabox? 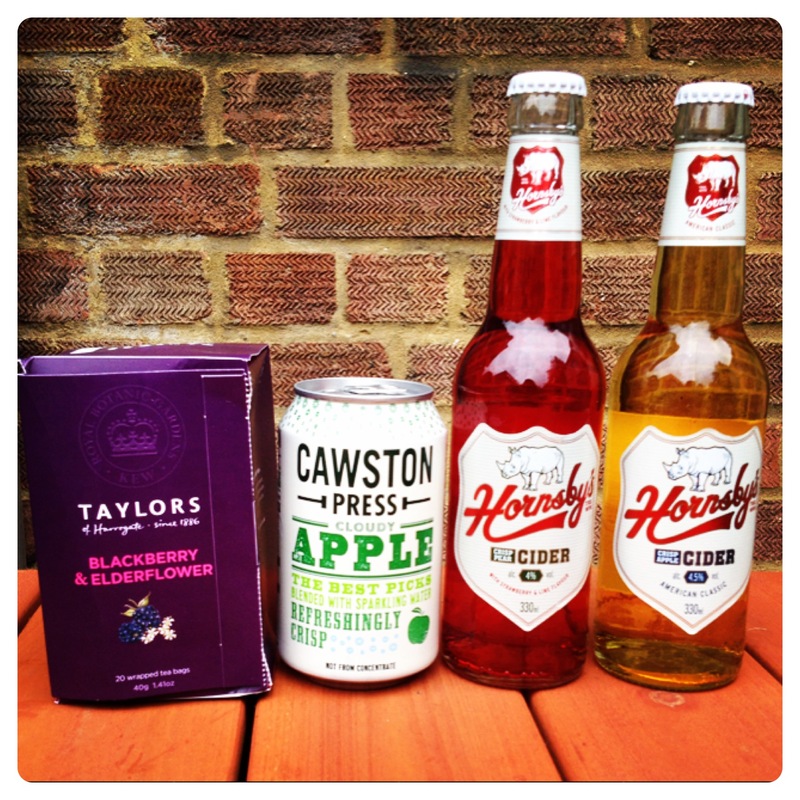 This month, we found a great selection of drinks, one for each occasion, from Taylors of Harrogate tea to fruity Cawston Press Cloudy Apple and Hornsby’s Cider. Taylors of Harrogate blackberry and elderflower tea is a flavour-packed tea infusion, made with fine fruits and herbs, perfect to be enjoyed in the afternoon. While fruity Cawston Press Cloudy Apple is a refreshingly crispy soft drink, made without preservatives, additives and artificial sweeteners; it is best enjoyed over ice on a hot day. Hubby was pleased to see Hornsby’s Crisp Apple Cider, American classic cider, and Strawberry & Lime Cider, made by mixing pear cider with strawberries and lime. He found both very tasty, and a perfect drink to enjoy cold straight from the bottle while watching the World Cup matches. We love pasta, so we love seeing Garofalo Elicoidali Pasta – Italian pasta made in Napoli using only the finest robust durum wheat and shaped using a bronze die. It was perfectly complemented by ready to use Cirio La Classica Passada, made with Italian tomatoes, and thick and rich SuperCirio Tomato Puree made with vivid red tomatoes. We created a beautiful meal with Garofalo pasta and Cirio tomatoes, I will be sharing our Italian pasta recipe using the ingredients above soon! Little man and I love baking together, but often our cake gets stuck in the tin. I won’t happen anymore with Dr. Oetker Cake Release Spray, an oil spray to be used in baking to replace greasing and lining tins and trays before pouring in the cake mixture. We loved the cute Elizabeth Shaw’s Dark Chocolate Cocoa Crunch Flutes, delicious on its own with crunchy cocoa bits and ideal as baking decorations. I promise little man we will be making some cakes over the next couple of days and decorate with the beautiful batons of chocolate – they are too tasty, so I better hide them before they magically disappear! I like chewing gum, but didn’t know energy boost chewing gum existed. How wrong was I, Raw Sugar Free Chewing Gum is rich in vitamin B and taurine, so you can energise yourself on the go. 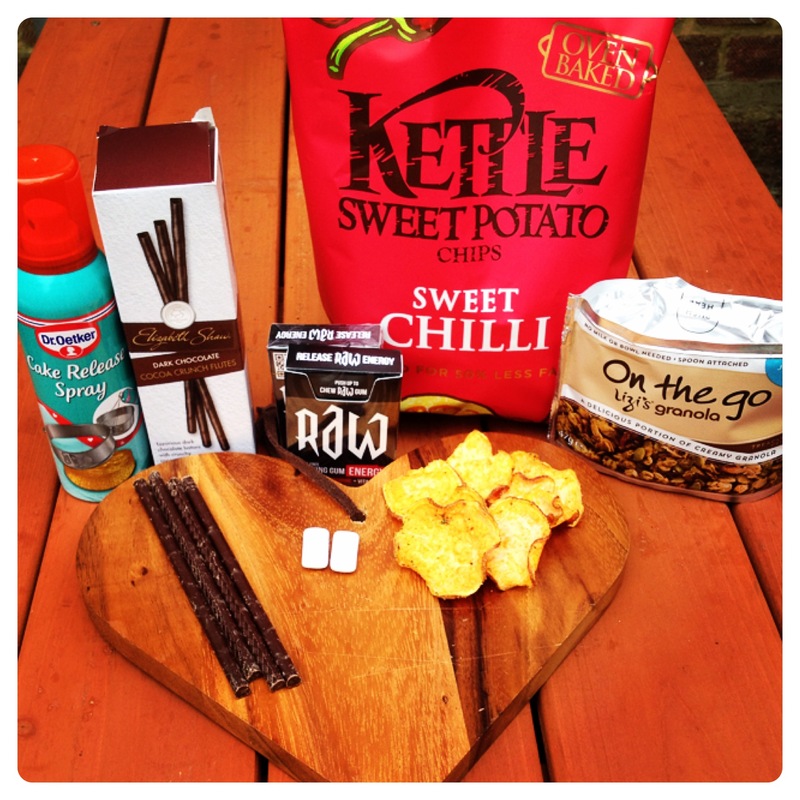 Another lovely surprise in this month’s Degustabox was Kettle Sweet Potato Chips in sweet chilli flavour. They are baked, made with no artificial flavours or colours, making a healthy and tasty alternative to fried crisps with 50% less fat. Hubby mentioned they go very nicely with Hornsby’s Cider while watching a World Cup match. Last but not least, Lizi’s granola is a convenient and tasty breakfast on the go. It comes with a plastic spoon at the bottom of the package, you simply need to add water, to enjoy some creamy granola made with lactose-free milk. Overall, I really enjoyed this month’s Degustabox, it had a great selection of items, from main meal ingredients to refreshing drinks and delicious snacks. I wonder what we will get next month, keep your eyes peeled… In case you haven’t tried Degustabox before, you can use the code ZNU5R to receive £3.00 off when registering. 10 Responses to "Degustabox Surprise Tasting Box: May Edition"
I tried the first box and they do keep getting better and better don’t they! An interesting range of things. 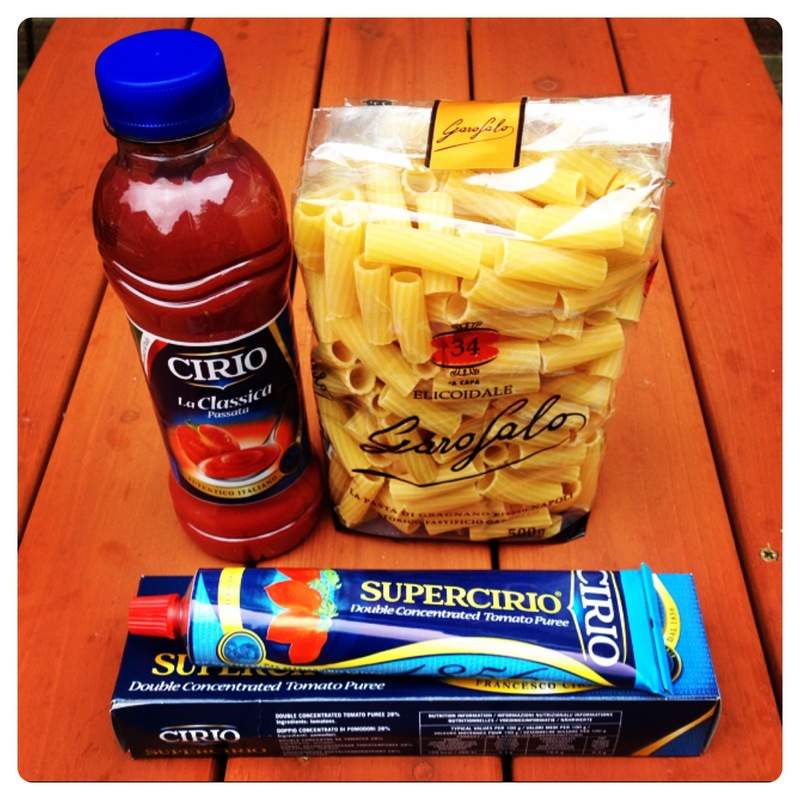 Great range of items in your box – would love the pasta meal items!